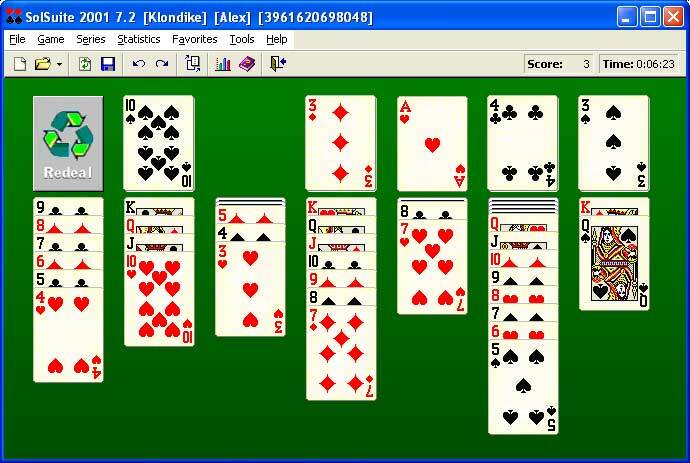 When you waste as much time as I do playing Solitaire, it seems that one must learn something. I’ll happily, therefore, share everything I’ve learned. 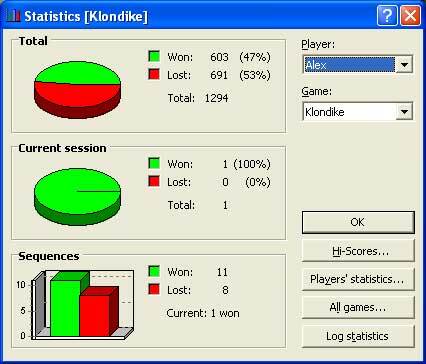 “Klondike” is a basic Solitaire version in which you get to cycle through the kitty cards as many times as you like, one card at a time, until either you are stuck or you win. Red queens will bury both black kings, along with a lot of other cards you need, virtually guaranteeing that you’ll lose. You’ll see this is going to happen almost right away, and the rest of the game will be perfect until you discover all your deuces are among the buried cards. You need one black three for a great shot at completing a win. Instead, you are dealt two red threes in a row and nothing else you can use either. When faced with a choice of un-burying a covered card or playing a “kitty” card, unbury the covered cards while you have the chance. This will allow you to lose with a score of -3 instead of -43, which still counts as one whole lost game. The odds of winning the “impossible” lay of the cards is better than the odds of winning the “slam-dunk” deals. The really easy games always stall. Constructing off-the-wall theories about why you’re losing beats marching gamely and silently to the scaffold. I lost this game too. Happy Thanksgiving … and happy playing! This entry was posted in Alex's Notes by Alex. Bookmark the permalink. I forgot the most obvious tip of all. Be patient. You will always get all the cards you need, though never in the order you need them.